The two-hour production will fill you with joy, nostalgia and wonderment as you are taken on a heartfelt musical journey through Houston’s greatest hits including I Will Always Love You, I Wanna Dance With Somebody, How Will I Know, One Moment in Time, I Have Nothing, Run to You, Didn’t We Almost Have It All, Greatest Love of All, I’m Every Woman, Queen of the Night and more. The closest participating car park for the London Palladium Theatre is at Cavendish Square, London, W1G 0PN. The rates for this car park are £6.50 per hour, up to 5 hours, and after that it is £38 for up to 24 hours. There are steps either up or down to the main entrance, foyer, box office, stalls & upper circle. Most of the staircases have handrails on both sides. If you are a wheelchair user, you should contact the theatre manager upon your arrival, for assistance. Wheelchair access is up a ramp to the box office and then by wheelchair lift, or through the entrance on Ramillies Place to the rear of the building. There are 4 wheelchair spaces, where companions can sit on the same row. There are also facilities to transfer to aisle seats. There are adapted toilet facilities. It is possible to access the Variety Bar on the stalls level from the Ramillies Place entrance. Other bars have steps to access. For patrons who have hearing difficulties there is an infra-red system. Headsets are available in the foyer. Assistance dogs are allowed in the theatre, but can also be cared for by staff during the performance if that is required – up to 4 dogs at a time only. Cash/ATM – Midland Bank at 196 Oxford St (approx. 3 min walk); Barclays at 17 Great Portland St (also approx. 3 min walk); Nat West at 250 Regent Street (approx. 2 min walk). Don't forget that most of the theatres in London only accept cash at their bars/cafes etc. Most do not accept card payments. Eating – great choice around the Palladium. Choose dim sum at Ping Pong Soho; Central & Co which is a modern all-day brasserie; Japanese cuisine at Aqua Kyoto. Garfunkels and Bella Italia are also both located on Argyll Street. Drinking – The Cocktail Trading Co is located at 22 Great Marlborough Street and you can drink cocktails or learn to make them! The Argyll Arms is an 18th century public house, at 18 Argyll St. For something less alcoholic Starbucks is at 34 Great Marlborough Street, with Costa coffee at 11 Argyll Street. The theatre first opened on Boxing Day of 1910. The theatre soon earned a reputation as one of the great “variety” venues, and indeed has been the location of more Royal Variety Performances than any other London theatre. Pantomimes are another favourite of the Palladium. Its stages have been graced by many great stars, including Harry Houdini, Gracie Fields and Ivor Novello. The theatre was closed in 1940, by the Blitz, but reopened with a performance of Applie Sauce starring Max Miller and Vera Lynn. During the 1940s there were performances by a host of major stars – Laurel & Hardy, Tommy Trinder, Carmen Miranda and many, many more. From 1945 on, under the direction and management of Val Parnell, many stars from the USA were brought to the theatre. These included Abbott & Costello, Frank Sinatra, Judy Garland, Dean Martin, Bob Hope; and the list just goes on and on! 1955 saw the first broadcast of Sunday Night at The London Palladium. 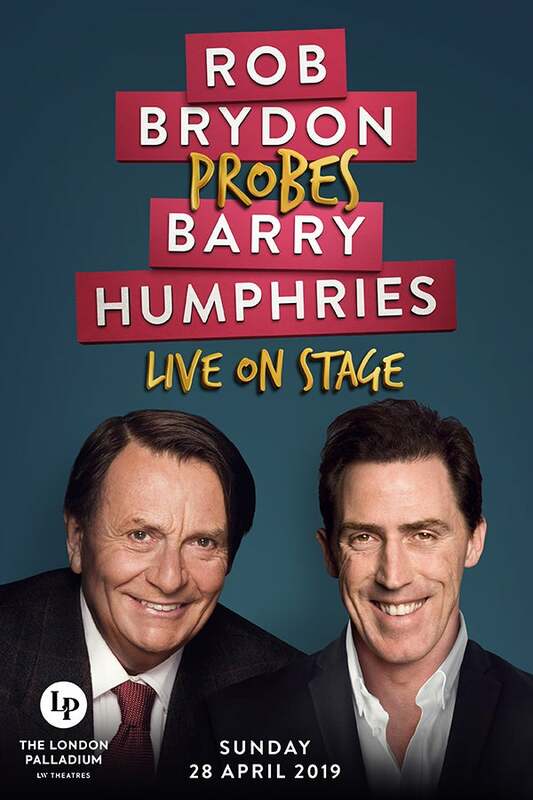 Hosts included Bruce Forsyth, Norman Vaughan & Jimmy Tarbuck – all of whom became big stars as a result of their time at the London Palladium. During the 1970s & 1980s the theatre has been the home of some of the most famous stage shows such as The King and I, Barnum, Singin' In The Rain, La Cage Aux Folles, and The Pirates of Penzance. In 2000 the theatre was purchased by The Really Useful Theatre Group. Under the new ownership the famous revolving stage was taken out so that it was possible for a car to fly! This was for the world premiere of the spectacular Chitty Chitty Bang Bang, which was, of course, taken from the earlier film. This production is the longest running of any show at the London Palladium, with over 1,400 performances. For the 100th birthday of the theatre there was a gala concert which paid tribute to those stars and artists who had performed on the stage over the previous 100 years. There were also tours, exhibitions, the return of the Royal Variety Performance and a BBC2 documentary. In October 2010 the theatre closed, at the end of Sister Act's run, for building works. The Wizard of Oz reopened the theatre in 2011. It is possible to hire various rooms/areas at the theatre, including the Val Parnell Bar, Cinderella Bar, the rehearsal room and the auditorium. For more information on these areas and the hire you should visit the website of the Really Useful Theatre Group. The London Palladium is one of the most famous of London's stages; it seats over 2,200 people and is suitable for conferences, presentations, receptions etc. The bar areas can accommodate 150 visitors in a variety of space configurations.